Certain individuals had stated that 113 MPs could be bought over to appoint a President when a President is elected from the parliament. 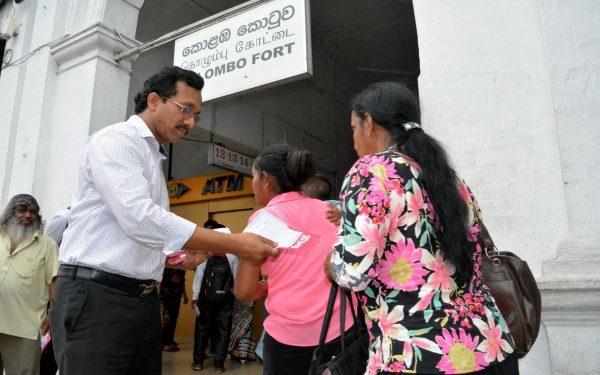 However, according to New York Times revelation, it has surfaced that the former President had got himself sold to China for US$ 7.6 million says the General Secretary of the JVP Comrade Tilvin Silva. One individual having executive powers is very harmful to a country and democracy would be healthy is when power is distributed among several institutions said Comrade Tilvin Silva. He said the intention of the 20th amendment is to hand over the executive power that is concentrated in a single individual to Parliament and the cabinet of ministers. 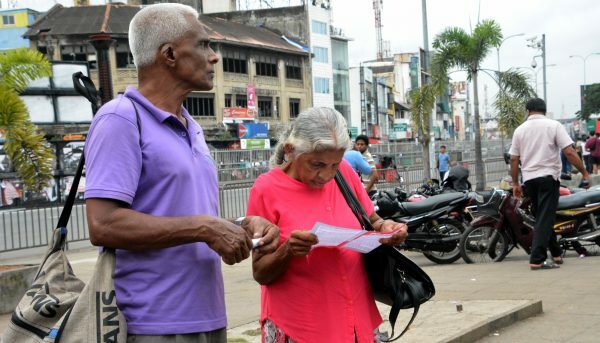 Comrade General Secretary made these observations when the Party launched a leaflet distribution campaign to apprise the public regarding the 20th amendment to the Constitution the Party has presented in parliament as a private members motion. 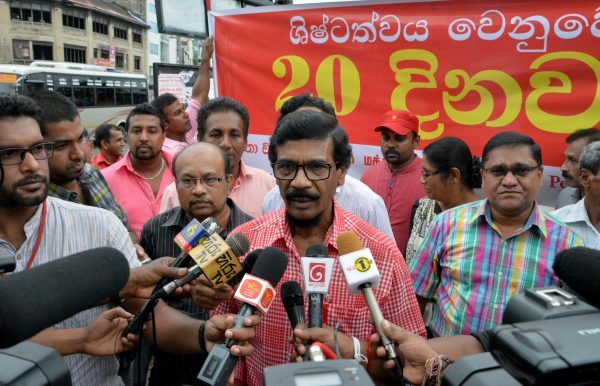 Speaking further the Comrade General Secretary said, “A dialogue regarding the 20th amendment has surfaced in the country and certain individuals tried to make the ‘20’ a demon even before they had read the draft. They said the amendment would divide the country; the PM would get more power. However, once the amendment has been presented we have been able to prove they had lied. However, they still attempt to deceive the masses. As such, we hope to make the people aware of the amendment. 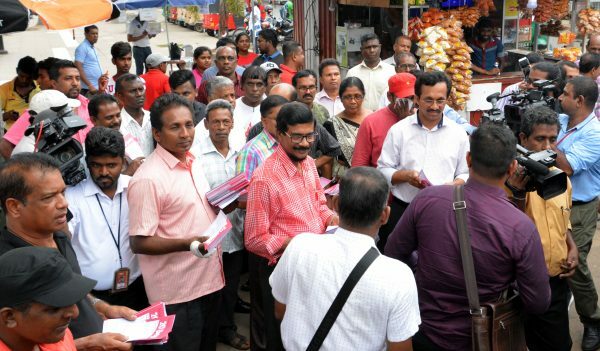 We hope to apprise the masses during this week with our leaflet campaign and various other means,” said Comrade Tilvin Silva. The Information Secretary Comrade Vijitha Herath, Member of the Political Bureau Comrade Lal Kantha, Comrade Sunil Handunneththi MP and several comrades were present.